The Texas heat is no surprise when the calendar reads August in Texas! With the daily average reaching 95+ degrees, staying cool this summer has been a challenge for everyone. What is a Texan to do? Here are 5 suggestions on how you and your family can beat the heat while still having a blast in Granbury, Texas! Who doesn’t love to feel the sand in between their toes? No need to drive to the coast to get that magical sensation. Granbury’s City Beach Park is the perfect place for to stay cool under an umbrella while the kids play in the water. Located just seconds away from Granbury’s Historic Town Square, City Beach Park includes a spray park, concessions and thatched roof picnic pavilions. Waterside Sports, located at City Beach Park, offers personalized water sport services, from rentals and gear, to complete instruction and certification. Why not play in the water and become a certified stand up paddle boarder at the same time? You can find everything you need for your day in the water. This includes kayaks, river tubes, surries, volleyballs, and even disc golf! The family is sure to have a blast and stay cool in this summer heat. Conveniently, City Beach Park is located near the Hilton Garden Inn, so walking home is not going to be a chore. Did you know that 2004 Olympic Gold Medalist Swimmer Dana Vollmer is from Granbury, Texas? To honor her, Granbury named the town’s swim center in Dana’s honor. The Dana Vollmer Municipal Swim Center is located adjacent to the City Park playground and offers 4,280-square-feet of water for the whole family to enjoy. This free, public facility is the perfect place to take the family to keep them out of the sun and in the water! The pool ranges from four feet to 12 feet deep, making this the perfect place to swim, regardless of one’s swimming level. The Swim Center also offers swim lessons for children who strive to be the next Olympic gold medalist, trained in Granbury, Texas! Looking to stay in the air conditioning while still having a blast? 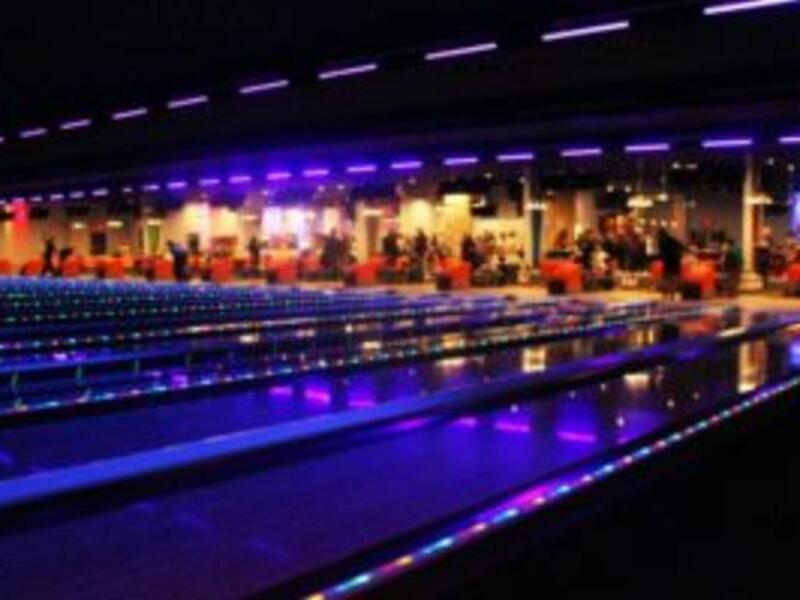 Pins Bowling Alley is sure to bowl a strike with the whole family. The newly renovated facility is family friendly and full of fun. Whether you want to work on your bowling game, or try your luck at one of the many arcade games, Pins offers an inexpensive way to avoid sweating and sunburns. It is not just about bowling here, it is also about the camaraderie and the atmosphere. Stop in, cool down, and enjoy food, drinks, games and a GREAT time! Visiting museums is the perfect activity to keep the family out of the sun while also educating them about the rich history that surrounds the city of Granbury, whose motto is “Where History Lives.” Because of the variety of museums that Granbury offers, there is sure to be one that appeals to every member of the family. For the girls, Granbury Doll House Museum celebrated Americana with an extensive doll collection, including celebrity look-a-like-dolls. The Hood County Jail Museum, built in 1885, includes artifacts and memorabilia depicting the history of Hood County. As you walk through the jail, markings on the walls tell the stories of the criminals who were housed in there. Why get out of the car if you don’t have to? The Windmill Farm Driving Tour offers a look into history, without having to leave the air conditioning. Take a drive on the 26 acre property, and view the historic and restored windmills the whole family is sure to love. Sit back, relax and enjoy the show. Granbury Opera House is the crown jewel of Granbury’s arts scene. Built in 1866, the Opera House has been painstakingly renovated to the period, boasting elaborate, imported chandeliers, elegant twin curved staircases, the original limestone walls, filigree iron balcony railings, pressed-tin-inspired acoustic ceiling tiles and an intimate seating arrangement. This guarantees you will have a great seat. For those of you interested in the latest flick, Show Biz Cinema provides a first class movie-going experience for every customer and is open everyday. Needless to say, Granbury always puts on a show! Of course, another way to stay out of the heat is to visit some of Granbury’s delicious restaurants. New to town is Mesquite Pit on Lake Granbury. Mesquite Pit opened their doors on July 1, and their mesquite grilled steaks and BBQ are a huge hit. If you are looking for classic family favorites, race on over to Fillin’ Station, a local favorite in Granbury. The kids are going to love their auto-themed décor, and everyone is sure to enjoy the burgers! If you’re looking for something a little lighter to eat during the hot summer day, Christina’s Boutique and Bistro serves some of the best sandwiches, soups, and salads in town. Planning to stay more than just the day? Here are a couple places to stay in Granbury that offer luxurious sleeping amenities, and a pool too! Inn on Lake Granbury – This award winning inn is the perfect place for a scenic and relaxing view of the lake. The sparkling pool will take your breath away. Hilton Garden Inn – Located just seconds away from the Town Square and City Beach Park, this is a terrific spot for families. Plantation Inn – This is Conveniently located right off Highway 377, and is walking distance to many local restaurants. Dinosaur Trail Cabins & Cottages – This is the perfect family getaway, with lots of fun, including a ¼ mile wooded trail to adventure. Whether you are just coming for the day, or planning on staying the whole weekend, Granbury offers lots of places where you can stay out of the heat, while still making summer memories! 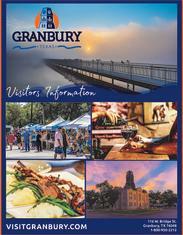 Check out VisitGranbury to book reservations for your accommodations, and start planning your getaway!